You wouldn't actually. As I tried to imply in my post, I'm saying that the Super could be made into reality (aka. both the Executor and Super exist) due to a BS financial reason, and that the Titan wouldn't be the Executor/Lusankya. Though of course that does fly in the face of canon, but that's just a proposed alternative if scaling is a really big issue. SSD wasn't a type. It wasn't even a class. SSD was just a name used to ruse the Senate. Quoting GoaFan77, reply 75I guess if needed to reduce it even further to 8km that would be an option. 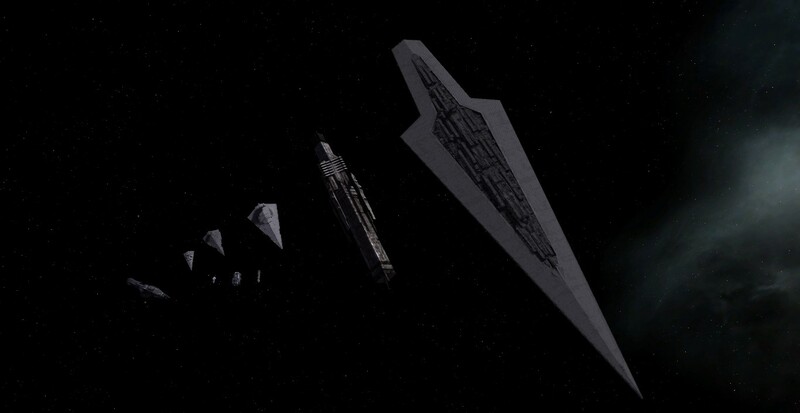 Though since the Executor and Lusankya are explicitly mentioned in the lore and the game, I would have to unretcon the retcon that made the Executor class its own class and put them back as Super Class Star Destroyers. I get what you're saying. The problem is that in Interregnum the Executor survives the battle of Endor and thus must be in the mod. 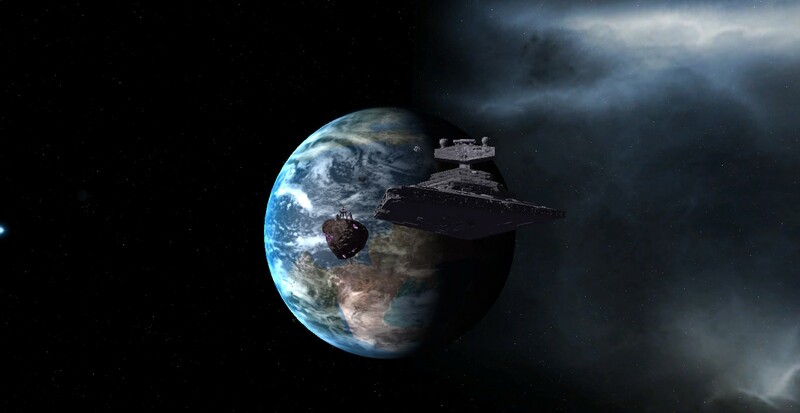 In fact the mod basically assumes the Galactic Empire's titan is the Executor specifically (despite whatever random name it assigns it), not an Executor class Star Dreadnaught more generally, because most of the abilities are based on Darth Vader being aboard, including Force powers. Likewise, if I don't run into memory problems, Lusankya, Iron Fist and Reaper will all be different titans with different abilities because it is assumed that Isard, Zsinj and Kaine are commanding them. Thus I can't really make the Super class the titan without totally removing the Executor class Star Dreadnaught from Interregnum canon and stating that all Executor class ships are really Super class ships. Which is basically the exact opposite of established canon. Super Star Destroyer is a general term for very large Star Destroyers, yes. However, Super-class Star Destroyer in this context actually refers to a real class in universe, albeit a fake one, per the article Lavo linked in his previous post. 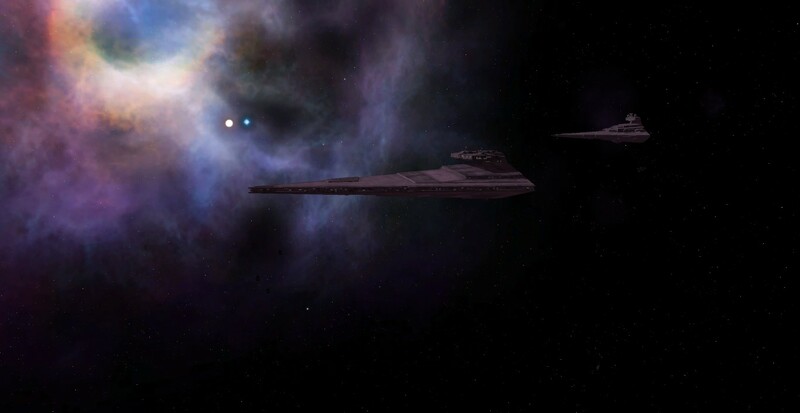 In order to get rid of the problem that Super Star Destroyer, Super-class Star Destroyer, and the Executor class Star Dreadnaught are often incorrectly used interchangeably in universe, Lucas Arts officially retconed the Super-class Star Destroyer as a fake class of ships that the Empire said it was building while it instead built the much larger and expensive Executor class. 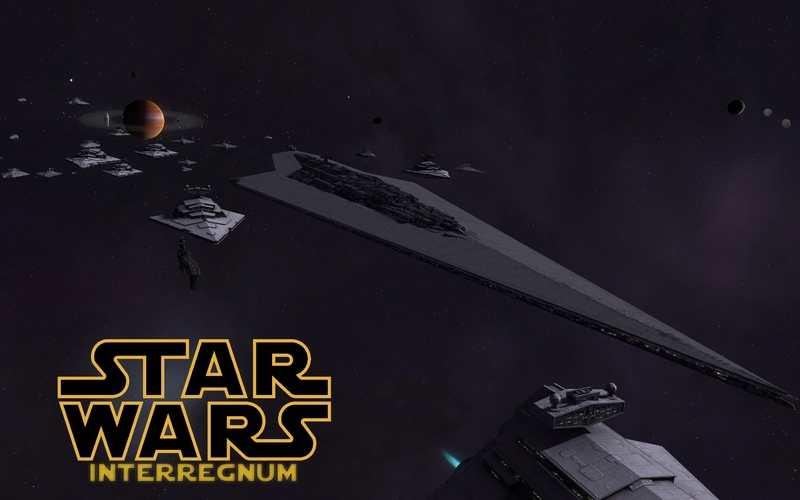 This fake class has been given the outdated stats for the Executor that were used, including its length of 8km. Thus any incorrect stats of the Executor or calling an Executor class ship a Super-class Star Destroyer can be explained by this fake class confusing people. It also explains where the generic use of Super Star Destroyer to refer to massive Star Destroyers came from. Thus I can't really make the Super class the titan without totally removing the Executor class Star Dreadnaught from Interregnum canon and stating that all Executor class ships are really Super class ships. Which is basically the exact opposite of established canon. Well, unless I run into problems in large fleet engagements or something, it looks like the whole Super class thing will not be needed. Scaling the Executor to about 12.8 km fit almost perfectly with twice the size of the Ragnarov. Tector class Star Destroyer has been added to the manual. Progress has continued. I hooked up all the unit voice overs today. Definitely makes the game feel much more alive than the generic TEC voices we've heard a million times. In other news, you can check out the first gameplay feature on Moddb, about the Empire's rank system. Now even you can be an armchair Grand Admiral while conquering the stars! Seriously though, Lavo knew about his a bit before I publicly released any images. He's already got a new UI for all of his factions to iron out, and with 6 of them I don't think he has the time to put this kind of detail into just the Empire. Even if I were to give him all the assets. What will the main menu theme song be? Will there be the long stretch words on the load up? Interesting questions. I have actually mixed a custom main menu song for Interregnum. Currently it is a combination of the Rebellion title theme and Battle of the Heroes. I have a couple of other themes I would like to thrown in there as well, but we will see. As for your second question, I really hope so. The text that would appear is more or less what is on the first reply of this thread. I sadly do not have a video editor I could use to make the opening crawl right now though. 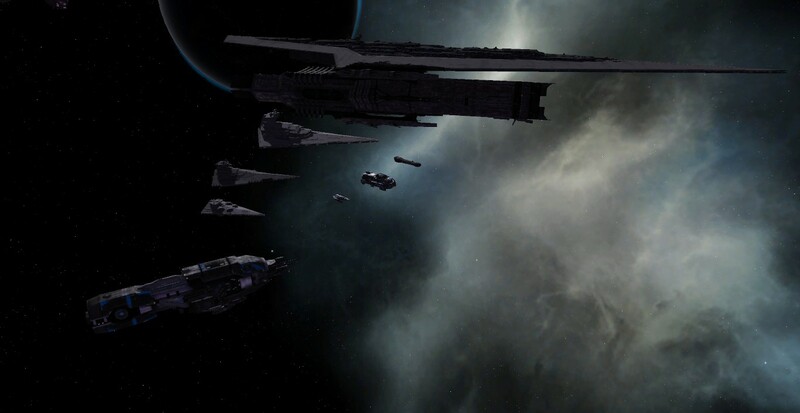 The Vindicator class Heavy Cruiser has been added. Trivia: it is one of the few ships in the mod where its Star Wars role and its Sins role (heavy cruiser) are identical. Here is a screenshot of the Empire's Starbase, the Jovan Station, in orbit around a Hydrocarbon planet. While originally designed as a supply and staging base rather than a combat platform like the Golan series stations, the Jovan's sheer size provides plenty of space to install weapon batteries, from turbolasers and missiles to antifighter quad lasers. Its abilities still focus on fleet support rather than combat however. 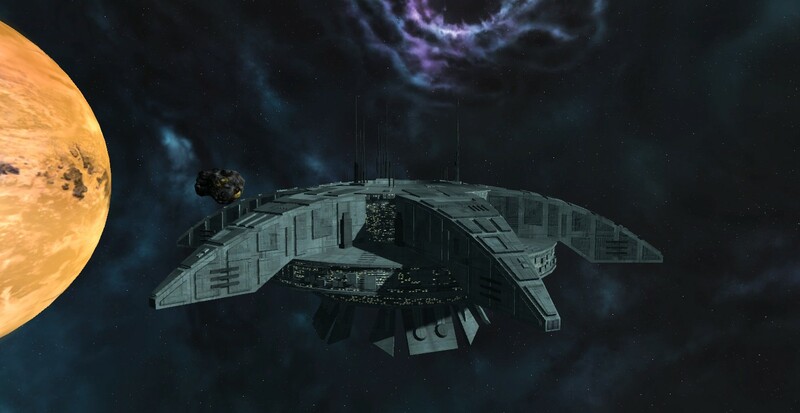 It can call for free reinforcements from nearby Imperial ships and rapidly heal an entire battlegroup in its radius. The station is also an invaluable asset to Planetary Governors, with its ability to act as an emergency headquarters during a siege or revolt and as a symbol of the strength of Imperial rule, which can translate into more tax collection and cheaper planet development costs. Unfortunately we do not know if this station was a standardized design or unique to the Jovan system, however historically it proved its worth as the base of operations for the blockade of the Yavin system following the destruction of the first Death Star. how are you going to represent unique characters? Several different ways, but each player will only be able to have one of each character of course. This mod is based on my Enhanced 4X Mod, which has its own mechanic of hero units. I would suggest you try it out if you are curious. 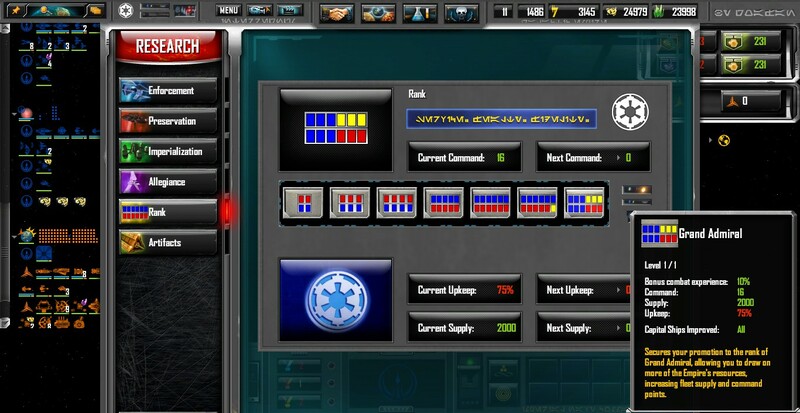 This mechanic allows 3 unique heroes per faction, which for the Empire are Captain Teren Rogriss, Grand Admiral Thrawn and Admiral Piett. A few of the game's titans, which you can also only have one of, are commanded by named Star Wars characters. Darth Vader of course commands the Executor, the Galactic Empire titan, and Admiral Ackbar has HomeOne, the Rebel Alliance titan. In addition, the Imperial Warlords faction may have 3 of the warlords command their own flagship, if memory space allows me to give them unique titans. These will of course be Yasanne Isard on Lusankya, Grand Moff Ardus Kaine on the Reaper, and Warlord Zsinj on the Iron Fist. You'll be able to decide in game which warlord to ally yourself with and thus which titan/character you get. Star Wars characters famous for flying Star Fighters will be spawned with abilities off either hero units or titans. For example Soontir Fel and the 181st Imperial Fighter Group is spawned by the ultimate ability of Captain Teren Rogriss, while Rouge Squadron and Wedge Antilles are spawned from the Alliance hero Commodore Han Solo. It is possible Lando Calrissian and Boba Fett may also make appearances in this way, but they are not finalized. what about "secondary" ships like the Millenium Falcon? I initially planned to have the Millennium Falcon be spawned by HomeOne, AKA Admiral Ackbar, as a special Corvette. Pretty much everything about Ackbar is based on the Battle of Endor in RoTJ, so naturally I had the Millennium Falcon being piloted by Lando Calrissian as Gold Leader per Return of the Jedi. However, I realized that some people might want Han piloting the Falcon, which is a problem because he is a Hero Unit in a Mon Remonda type (MC80B) Mon Calamari cruiser, based on when he was a Commodore chasing Warlord Zsinj. Unfortunately none of the other trilogy characters have ever commanded a large warship that I know about so he cannot be easily replaced. When I start working on the Alliance I'll probably ask for feedback on just what to do about his because I am no longer certain. can you make capitals, titans and heroes have a higher level cap than 6? I'd say around 10 like Warcraft 3, or in any case enough to maximize all abilities... or at least a couple of them. 6 allows only for one, and you have to sacrifice the level 6 skill.. I'm not entirely sure what you're trying to say here, since Sins caps and titans can have 10 levels each. Since you have 4 abilities with up to 4 levels each, you can max out two abilities and be able to put 1 point in the other two. Also titans you get 2 points per level, so you can max out all your titan abilities if you like (though not the armor/hull/weapon upgrades as well). In E4X I choose to give heroes fixed ability paths (you don't have a choice of what ability you want to improve, there is only one possible option), rather than let the player choose for balance reasons, a bit like in say Battle for Middle Earth. This was so all the heroes abilities could be unlocked early, yet the clearly better abilities would not improve until higher levels. For the most part Interregnum will use the same style. can the level cap or the number of points per level be raised? Each capital ship and titan starts at level 1 and can reach up to level 10. In theory you could reduce the number of levels but not raise them. Capitalships and heroes are limited to 1 point per level, titans always get 2 points per level. Each ability can have up to 4 points put into it, but I do not use all 4 for all abilities. The heroes are designed to max out their abilities by level 10, and as mentioned if you so choose you can max out the abilities of your titan as well. It will make more sense when you play the mod if you still don't understand it. I bet it will, but it's very clear also now. so levels higher than 10 and extra skill points are completely out of the question? are you also making new particles?